If you’re a gamer, you know how easily even the most exciting, heart-pounding games can get boring after a while. A group of Stanford University engineers want to make sure you’re always getting the absolute maximum amount of excitement out of every game. Their modified Xbox controller will measure your physiological signals and determine when your game experience needs to be ramped up or backed off a little. 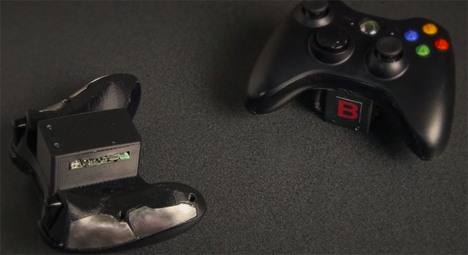 Special plates replace the backs of regular Xbox 360 controllers. These 3D printed back panels are loaded with sensors that measure the player’s heart rate, blood flow, respiration rate and how deeply the player is breathing. An accelerometer measures the amount of shaking that the player is doing to the controller, indicating how engaged he or she is in the game. The smart controller is only one aspect of the Stanford controller, however. 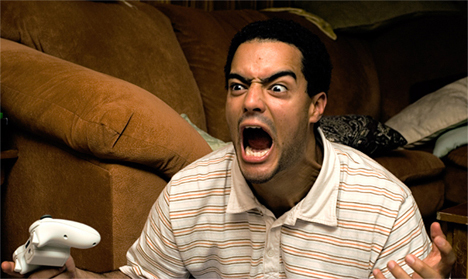 Software built into the game allows the game to change intensity and difficulty level based on the player’s engagement, frustration, or boredom. In addition to matching games to a player’s abilities and preferences, the software could be used to help tone down games for kids or even remind them that it’s time to take a break from the screen when they start to get too wrapped up in the game. See more in Gaming & Geek or under Gadgets. April, 2014.